Opposite Chora Sfakion, in the middle of the Libyan Sea, there is acritic (border-line) Gavdos, the most southern border of Greece and Europe. There only 50 residents on the island who look like knights - monks, dedicated to one sacred aim: to keep alive their place, which independently of its small size has huge meaning, historical and archeological, as well as environmental. It may sound as an exaggeration, but five thousand guests who visit the tiny island every summer, feel grateful to those crazy Akritai (border-guards), who stubbornly stay at their place, being indiffirent to the comforts of civilization. In this way, anyone who wants it, may feel some of the Gavdos' magic. Here it seems that the time has stopped, and it's not because of absence of civilized and technological facilities of the Western world (the island doesn't even have electricity). It's just a feeling that nothing has changed for many centuries on this land, and the human rythm follow the rythm of the nature. This is not actually true, as Gavdos once was flourishing in many ways - economic, social, cultural and in terms of the population. It has been populated since Paleolithic epoch and is mentioned in Homer's "Odyssey" as Calypso's island, Ogigia. It flourished during the years of the Roman empire and Byzantium, survived Venetian and Turkish occupation, only to be culled as far as it concerned its population by the New Greek state. But for its summer visitors nothing of these matters: it's one of the last paradises in the world, a place where you can come in touch with the nature and with yourself. To live the dream for a few days, as a human being among other people, without socia classes, comforts and irrelevant material goods, almost...without clothes, while nudists feel very comofrtbale in Gavdos. Rooms for tourists are few and they're simple, but the hospitable beaches will happily accept yourtent for a few days. 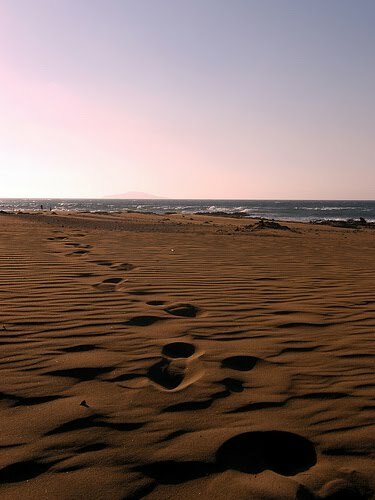 The landscape is charming in the sandy beaches of Ai-Gianni, Lavraka and Sarakiniko. There the travellers will find peace and quiet or some company, close to calm waters, sitted comfortably at the tables of friendly hash houses or rooms for rent which charm you with their simplicity. Gavdos is ideal for a small trip, if you are on vacation in Fragocastello, in Sfakia, as it's only a few hours away. The boat for Gavdos departs from Chora Sfakion which is situated only ten to fifteen minutes from Fragocastello.